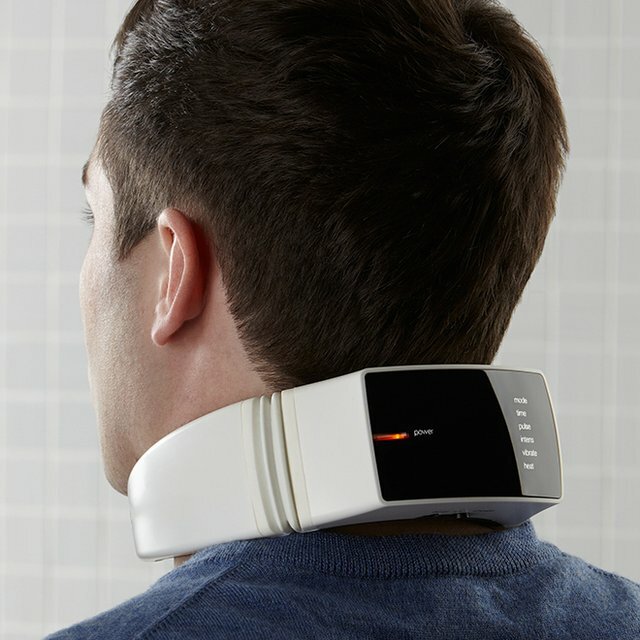 This Wireless Neck Massager allows you to get a daily neck massage. Featuring 4 automatic massage modes and 6 manual options, the neck massager offfers a variety of options to customize your massage. The Far Infrared Ray (FIR) heat and low-frequency electrical impulses help to soothe tight muscles. The neck massager includes a wireless remote that allows you to change between massaging options. The large LCD display allows you to easily see the selected settings, including time options for 5-30 minutes. The Canary neck massager model # LM120 releases the pain from nerve pressure, reduces inflammation, improves blood to the head, and improves deep sleep. The wireless neck massager includes a DC 6 adapter so you an easily recharge, without the hassle of changing batteries.